In the Lakes Region of New Hampshire, Lucas Law PLLC, provides legal services related to contract breach and disputes. Our legal team is seasoned in dealing with any and all issues as they relate to contract issues and disagreements. If you find that you are having problems in relationship to a contract for goods or services contact us as soon as possible. Often when issues are dealt with quickly, solutions can be expedited, saving those involved in the dispute time and money. At Lucas Law PLLC, we are focused on making sure that problems associated with contract breach and disputes are settled in a manner that is beneficial to our clients and that facilitates a positive outcome. If you’re involved in a contract breach or dispute, the ramifications and results can be far reaching, affecting your ability to conduct business or live your personal life in an orderly fashion. Issues related to the delivery of goods or services, whether they are associated with a commercial enterprise or a personal concern, are often at the center of any dispute. Common areas in which contract breach or disputes may occur include those related to construction or renovation, delivery of goods, and completion of contracted services. Issues may involve the quality of work, timely project development and implementation, quality and/or quantity of goods, and agreed to details within the context of a formal contract. When such problems occur they may affect a commercial enterprise in various ways, including compromising one’s ability to conduct business, erosion of confidence amongst clients, and loss of sales and reduced profits. 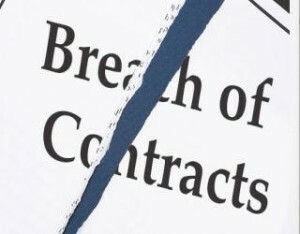 If the contract breach or dispute involves work that affects one’s personal life, then the disruption may affect and interrupt daily activities, increase living expenses and/or the cost of the project, and affect the morale, emotional well being, and/or the physical health of you and/or your family. At Lucas Law PLLC, we believe that the quicker a dispute is settled the better it is for all involved. Our legal team will work tirelessly to find a solution to your contract breach or dispute. Sometimes it will be as simple as mediating the issues at hand. Other times when one is involved in situation in which breach of contract has occurred or another type of dispute has happened, civil litigation, including filing a lawsuit, becomes the only manner in which the disagreement may be settled. The legal team at Lucas Law PLLC, will do whatever it takes to make sure that any issues concerning contract breach, or that disputes emanating from such, are dealt with a way that will mitigate damages and facilitate a beneficial solution. Methods for settling such disagreements include mediation, arbitration, and civil litigation. The contract breach and disputes attorneys at Lucas Law PLLC, in the Lakes Region, New Hampshire, offer a full range of services in all over NH Areas like Concord, Rochester, Laconia & Tilton focused on resolving any and all issues as they relate to either contracted goods or services and your commercial enterprise or personal life. If you find that you have a disagreement related to a contract, contact Lucas Law PLLC, by calling 603-581-7102. We will be happy to meet with you, discuss your contract issues, review the appropriate documents, and outline possible actions that may be undertaken to resolve your dispute. At Lucas Law PLLC, we possess the knowledge, experience, and skills required to settle any problems associated with a formal agreement or contract in a timely fashion.